This article on Blue Brain Project and Whole Brain Simulation is not allowed to be copied, where the author is not a doctor with proper practicing license, without my prior written permission are subjected to be prosecuted as per the applicable Laws. Blue Brain Project and Whole Brain Simulation do have the potentiality making human do suffer by intentional or unintentional ways, which is against our Hippocratic Oath. This webpage on Blue Brain Project and Whole Brain Simulation, might contain citation from my research papers, published or unpublished. And some resources with the spirit of Free Software Foundation or having GNU or MIT License are available here. The project is funded by the Swiss government and secondarily by grants and some donations from private individuals. IBM has never directly funded Blue Brain project as intentionally wrongly published by Forbes in 2005. That webpage content has been deleted by Forbes as on 2009, there was official statement about Blue Brain Project. To visit that page of Forbes, users are suggested to use wget to download to see the 404 error. Blue Brain Project as said on 2009 has the target Whole Brain Simulation. However, Whole Brain Simulation or Neocortical column modeling are not synonymous with Blue Brain Project. There are several independent research workers in group or as an individual has progressed much with neural modeling with the spirit of Free Software Foundation. NeuroDebian is one of the remarkable Free Software Foundation which helps in other aspects. Again please open any bigger news type website writing on Whole Brain Simulation with wget to avoid being tracked, the money can be fetched by software companies can be of few billion dollars as proprietary softwares can be worse than Microsoft Windows. You can safely search on GitHub, Source Forge, Google Projects for Neural Modeling. What Whole Brain Simulation has to offer ? The importance is to replace a damaged part of brain which has basic functions. Second is the study of higher cognitive functions and make the mind uploading to be a real happening. Other than Mind Uploading, the major improvement can be done by artificial prosthesis with computing function to make the connection with cut end of the neural bundles for an accidental amputation of an organ like a thumb of a skilled worker. Whole Brain Simulation has many offerings but it is a revolutionary change in science, particularly there is possibility of the software companies to charge hugely for taking ‘backup’ or saving the ‘backup’ if in case, individualized cognitive functions can be reversely coded. 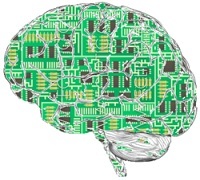 Not necessarily, Whole Brain Simulation or Neural Modeling need supercomputer, it depends on the strength of the coding (theoretically) and can be deployed on few dollars per hourly charged multiple Cloud Servers, properly load balanced. It is of utmost importance to observe any project on Whole Brain Simulation, to be developed as Free Software project, lead done by efficient doctors and not funded by any software or pharmaceutical companies. This is our duty, not to do any harm to any human and to prevent even the possibility of the arrangement of an foul play that can be done by bigger companies. A Free Software Project will usually have a GNU GPL license and have a Subversion Repo or equivalent showing all the codes publicly. Cite this article as: Abhishek Ghosh, "Blue Brain Project and Whole Brain Simulation," in The Customize Windows, October 9, 2012, April 21, 2019, https://thecustomizewindows.com/2012/10/blue-brain-project-and-whole-brain-simulation/.